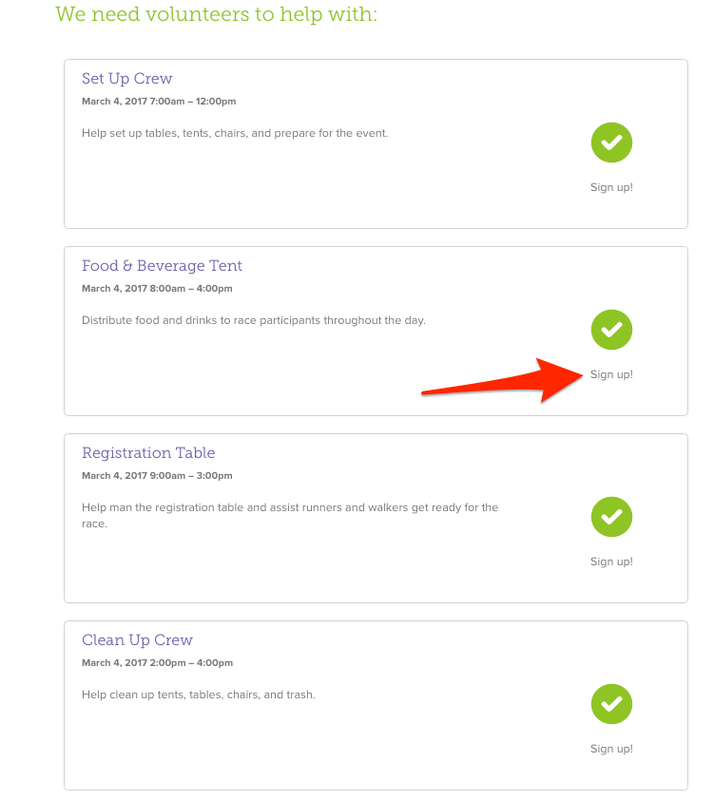 From the volunteer opportunity page, scroll down to the list of tasks that you're able to sign up for. To sign up for a specific task click "Sign Up!" next to the task you'e interested in. If you're not already logged into GiveGab you'll be prompted to log in or create an account before successfully signing up for the opportunity.